Meet Sullie! This precious little peanut is 12 weeks old and weighs 8 lbs. 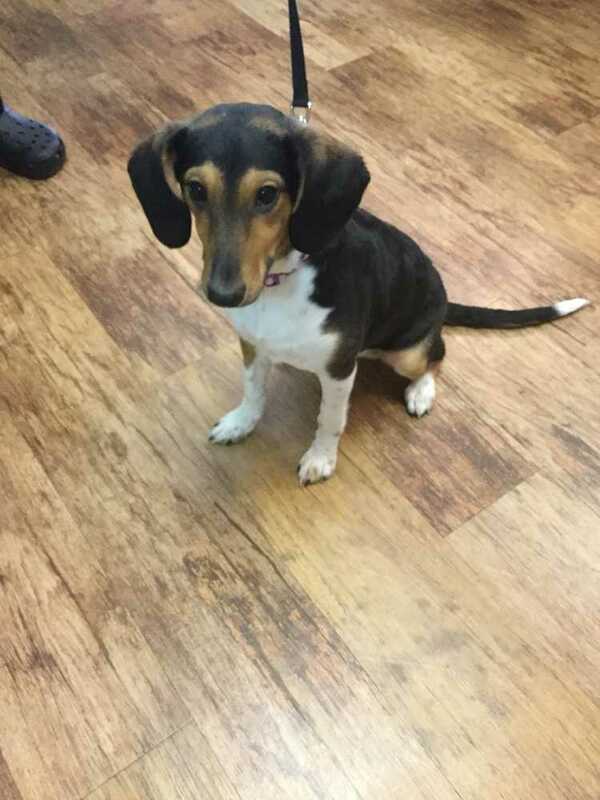 Sullie is a Beagle/ Mix. Sullie is an active little girl who loves to follow her hound nose and explore and she loves play with her sister, Tink and her toys. Sullie and her sister are blind. They maneuver around just fine, but need an alert eye and a patient home to help them adapt. They get very excited when they hear you coming!! She really uses her nose to explore and navigate. We have started training on basic commands, and she is super smart. She is crate trained and working on potty training. She is a sweetheart who loves to snuggle. Sullie is current on vaccinations, HW negative and micro chipped. Sullie is fostered in Omaha, NE. Her adoption fee is $250.00, plus a $50.00refundable Spay/Neuter deposit that will refunded upon altering.